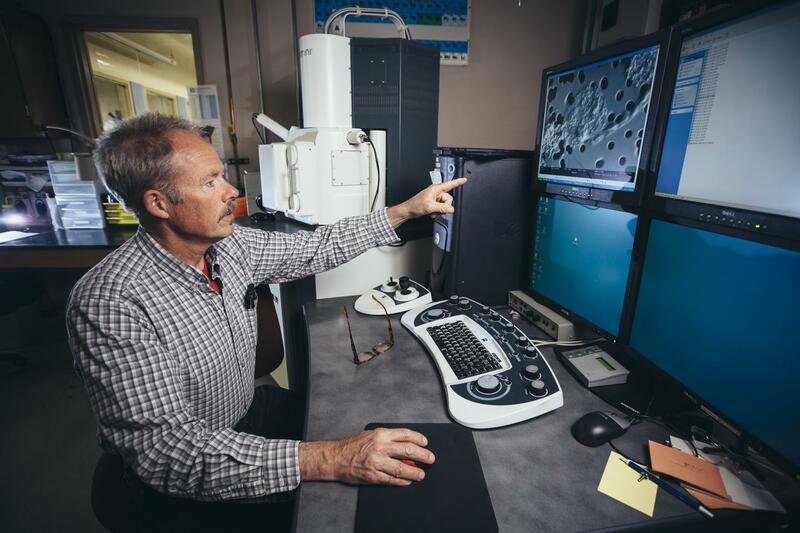 BOZEMAN — Montana State University scientists have found a new lineage of microbes living in Yellowstone National Park's thermal features that sheds light on the origin of life, the evolution of archaeal life and the importance of iron in early life. "The discovery of archaeal lineages is critical to our understanding of the universal tree of life and evolutionary history of the Earth," the group wrote. "Geochemically diverse thermal environments in Yellowstone National Park provide unprecedented opportunities for studying archaea in habitats that may represent analogues of early Earth." "It's interesting that the habitat of these organisms contains (iron) minerals similar to those found on the surface of Mars," Inskeep said. He added that microbes produce iron oxide, but the Marsarchaeota do not. They might be involved in reducing iron into a simpler form, "which is important from an early Earth standpoint. Iron cycling has been implicated as being extremely important in early Earth conditions." The scientists studied microbial mats throughout Yellowstone. Microorganisms in these "microbial beaver dams" produce iron oxide that creates terraces, which, in turn, block streams. As water (only a couple of millimeters deep) runs over the terraces, oxygen is captured from the atmosphere and supplied to the Marsarchaeota. "Physics comes together with chemistry and microbiology," Inskeep said. "It's like a sweet spot of conditions that this group of organisms likes." "Knowing about this new group of archaea provides additional pieces of the puzzle for understanding high-temperature biology," he said. "That could be important in industry and molecular biology." The work that resulted in the Nature Microbiology paper was the culmination of research that took place over the past decade, said Inskeep, who has studied the geochemistry and microbiology of Yellowstone's high-temperature environments for the last 20 years. Inskeep is a professor of geomicrobiology in MSU's Department of Land Resources and Environmental Sciences in the College of Agriculture and co-founder of MSU's Thermal Biology Institute. The lead authors of the Nature Microbiology paper earned their doctorates at MSU and were part of NSF's Integrative Graduate Education and Research Traineeship (IGERT) program while at MSU. Zackary Jay is now a postdoctoral researcher in the Department of Chemical and Biological Engineering in the Norm Asbjornson College of Engineering and the Center for Biofilm Engineering at MSU. Jacob Beam is now a postdoctoral researcher at Bigelow Laboratory for Ocean Sciences at East Boothbay, Maine. "In the end, after many years of work, it's exciting, and a relief, to have our team's work recognized and published, particularly in a high impact journal," Jay said. Other co-authors were Mensur Dlakic from MSU's Department of Microbiology and Immunology in the College of Letters and Science and College of Agriculture; Douglas Rusch from the Center for Bioinformatics at Indiana University; and Mark Kozubal from the Thermal Biology Institute, MSU's Department of Land Resources and Environmental Sciences, and Sustainable Bioproducts in Bozeman.